Spool turnings were at their height of popularity during the Victorian era of time. 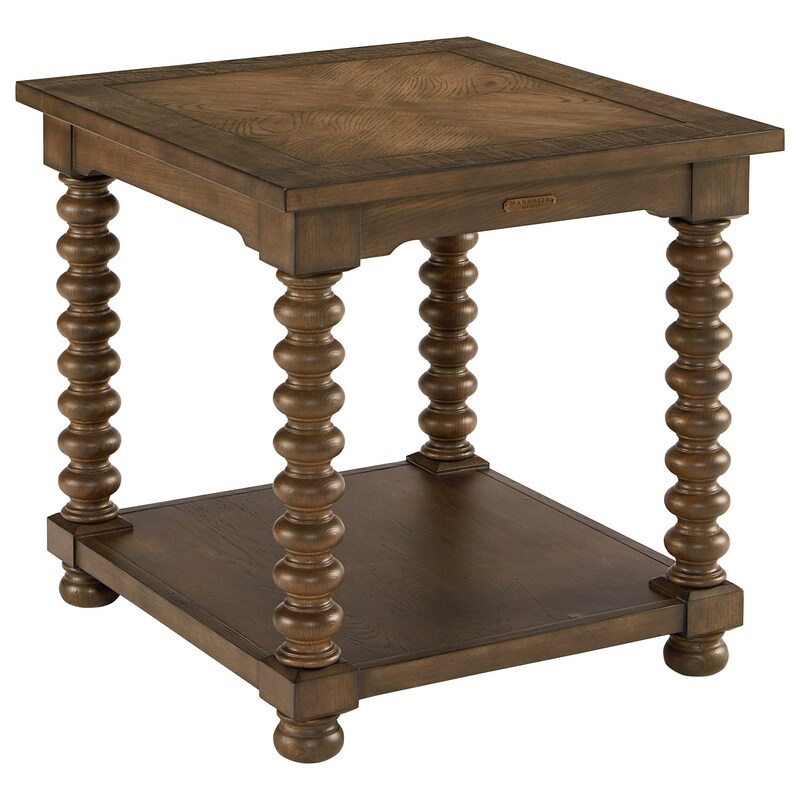 This End Table from our Traditional collection has those same “Jenny Lind” spool turnings and our rubbed Chimney or Shop Floor finish with its worn-in character. The Traditional End Table with Spool Legs by Magnolia Home by Joanna Gaines at Zak's Home in the Tri-Cities, Johnson City, Tennessee area. Product availability may vary. Contact us for the most current availability on this product. Browse other items in the Traditional collection from Zak's Home in the Tri-Cities, Johnson City, Tennessee area.